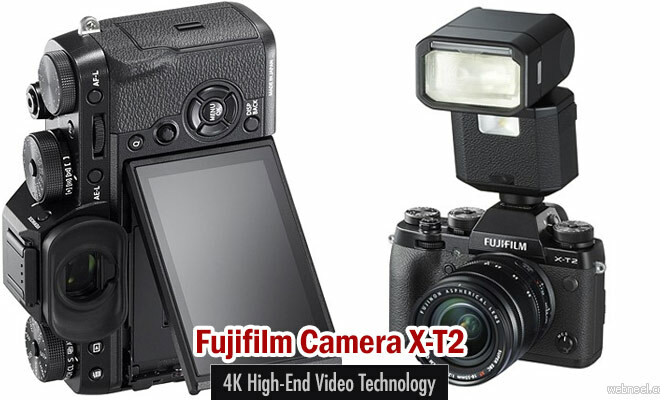 For the first time Fujifilm uses the 4K video capture in its premium SLR-style X-series. Fujufilm X-T2 uses 24.3MP X-Trans CMOS III APS-C sensor which was first seen in the X-Pro2 and also comes with an upgraded hybrid AF system which has more focus points. Just like in the X-Pro2, this camera comes with a AF point selection joystick. The shutter speed has also been increased to 1/8000 sec and an overall boost in the response level. This camera comes equipped with a weather shield, just like the one we saw in X-T1. The X-T2 is very much suitable for the field photography. The X-T2 can autofocus on small points of light, low-contrast objects and subjects with fine and delicate textures such as bird feathers and animal fur. The X-T2 is made of magnesium alloy, which makes it lightweight and highly durable. The Fujifilm X-T1 was launched a couple of years ago. Now we have the premium model which comes with an interchangeable lens and also it's mirrorless.